Here’s your daily dose of heartwarming news. Dude, So Many Latinos Are Going To Be Part Of The Academy, Finally! The Academy of Motion Picture Arts and Sciences has spent the last two years fighting the assertion that it only cares about white people. Finally, this year, the Academy is taking steps to change the culture of the media company and awards ceremony by inducting the most diverse class in its history. Out of the 683 new Academy members, there are more than 50 Latinos and Latinas ready to make some change. ¡Orale! (or ¡Wepa!, whichever you prefer). Earlier this year, the Oscars were once again called out for their lack of diversity. Remember that #OscarsSoWhite hashtag that took over social media? Rodriguez started #MovementMondays on social media to shine a light on Latinos who she felt weren’t being given their due. That was probably because most people in the Academy were white males, but who can really be sure? 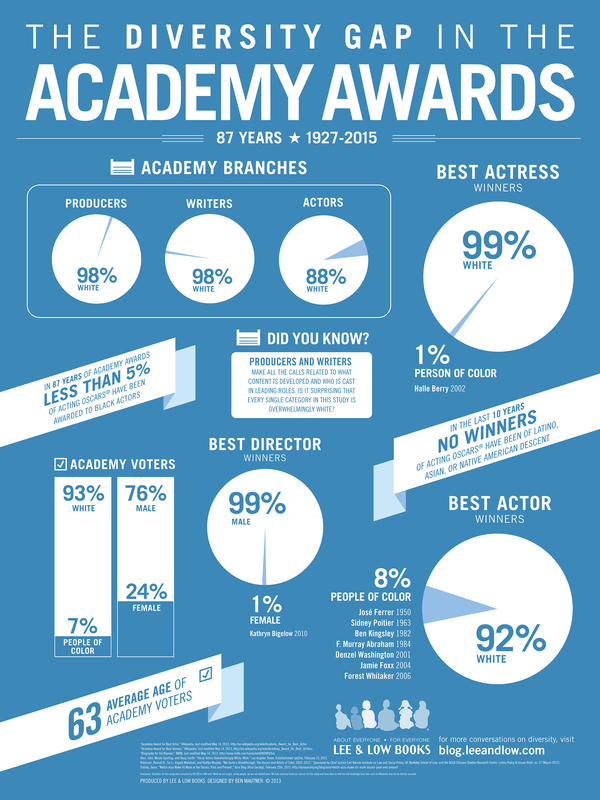 So the Academy is doing something about it. It has invited 683 new members, which include lots of women and people of color. To be specific, 46 percent of the new members are female and 41 percent of the new members are people of color. ? Some of the invitees include America Ferrera. You might recognize her from a little Disney Original movie called “Gotta Kick It Up!” and her portrayal of Helen Chávez in the Cesar Chávez biopic. “Book of Life.” ‘Nuff said. Pretty sure this dude doesn’t need much of an introduction. Good to know there is someone willing to vote just based on talent.